This well-detailed truck replicates the most popular shipping vehicle on the road, a dually (for dual-wheeled). 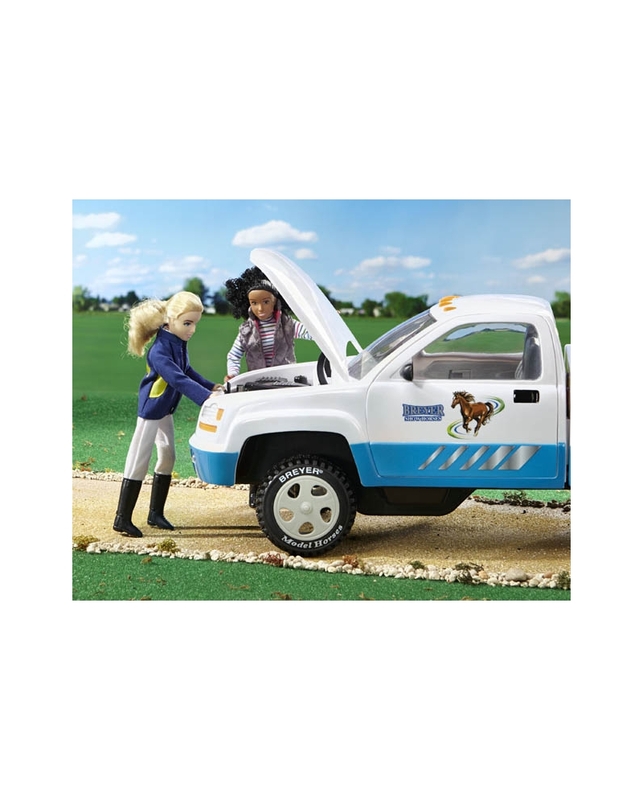 Stylish in white with blue trim, it hitches to the matching 2-horse, tag-along trailer in a snap! Features rolling, rubber-like wheels and front wheels that turn with the steering wheel. Includes 2 rear-view mirrors, a working hood, tailgate and hitch. Fits Loads of Gear in the Truck Bed; Hood & Tailgate Open; Holds 2 Passengers.